If your idea of the perfect Bloody Mary involves a dash of Tabasco, better stock up while you can. Over one hundred miles west of New Orleans, Avery Island, the birthplace of Tabasco sauce, is disappearing as its land slowly washes away with the sea. As with much of the American Gulf Coast, Avery Island is plagued by rising sea levels, erosion, and human-caused environmental damage. Despite Avery Island’s relatively high elevation at 163 feet above sea level, the island is losing 30 feet of wetland per year due to saltwater encroaching via canals dug by the oil and gas industry. Meanwhile, the island’s elevation is shrinking by a third-of-an-inch each year. Technically, Tabasco isn’t going anywhere. If Avery Island continues to shrink, McIllhenny may someday have to consider relocating away from its historic homeland. “We don’t think it will come to that, but we are working to do everything we can to make sure it won’t happen to us,” said Simmons. “I mean, we could make Tabasco somewhere else. But this is more than a business: this is our home.” If the island experiences an additional sea level rise of two feet, which is widely expected to occur, only the highest points of the island will be safe. 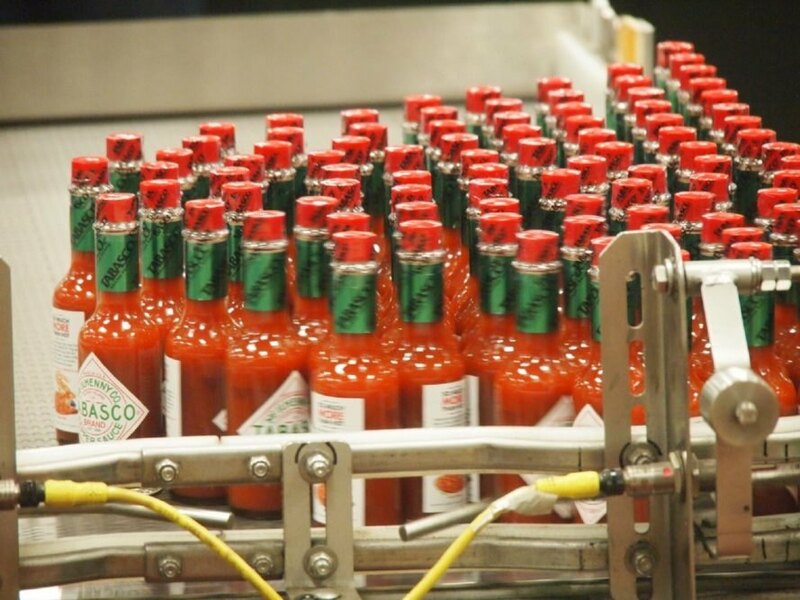 Bottles of Tabasco sauce at the company's Avery Island factory. 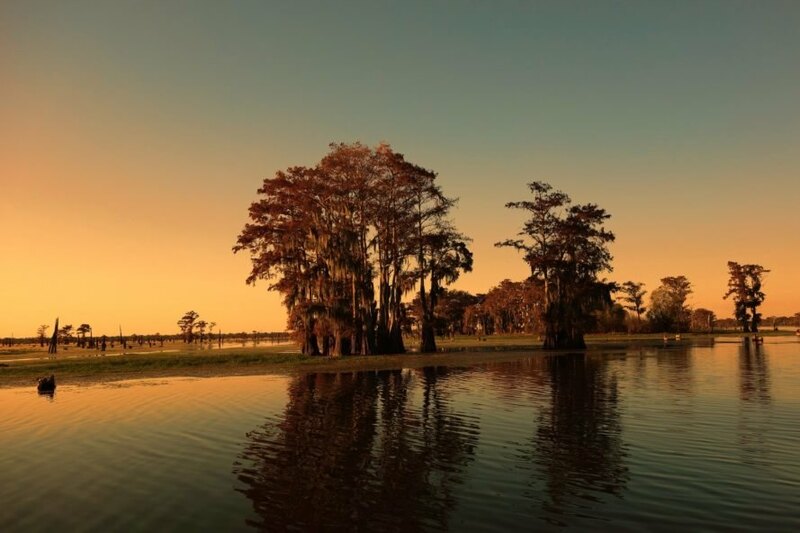 A sunset scene on the Louisiana Bayou, where land is being quickly lost to erosion and sea level rise.